Michael Hutchison’s The Book of Floating was first published in 1984, and was the first comprehensive exploration of the history, science and benefits of sensory deprivation tank therapy. The book has a highly engaging, conversational style underpinned by rigorous research, personal experiences of the author, and many anecdotes from the lives of floaters Hutchison interviewed. If you are one of those (like myself!) who enjoy books like The Body Keeps The Score, The Brain That Changes Itself, the works of Malcolm Gladwell, etc., you will love this book. It is utterly fascinating, encouraging a deep curiosity and appreciation for the many complex benefits sensory deprivation has to offer. The book contains a thorough history of the practice of sensory deprivation for spiritual advancement, as well as research, anecdotes and instructions about floating for specific outcomes such as weight loss, addiction recovery, achieving flow states, pain relief, and superlearning, as well as many others! It also explores an array of theories to explain the extraordinary benefits that floating has demonstrated across many clinical studies over a number of decades. Highly recommended! John C. Lilly, the inventor of the floatation tank, led a colourful life. He was a scientist, psychoanalyst and physician who did extensive, pioneering research trying to communicate with dolphins, explored the effects of psychedelics drugs such as LSD, and participated in the search for extraterrestrial life, among many other varied and often strange pursuits. He also wrote a number of books. The Center of the Cyclone, a recently republished “long-out-of-print counterculture classic”, explores a portion of Lilly’s life and career which included a number of these areas, especially focusing on LSD, sensory deprivation tanks and a range of other self-improvement and self-exploration modalities. 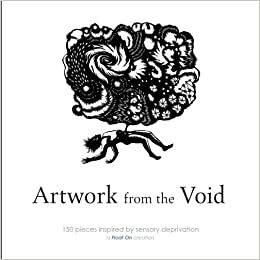 The book is a fascinating, highly personal and at times quite confusing attempt to convey the author’s experiences of the mind, which go far beyond what most people ever encounter. This is a fabulous introduction to the crackpot genius that was John C. Lilly. Recommended. In The Float Tank Cure, Shane Stott shares his personal journey from his debilitating anxiety and struggles with mental illness to finally becoming a calm, high-functioning and happy individual through the use of sensory deprivation floatation tanks. He became so enamoured of floating that he built his own tank, and now he has a company that produces and sells floatation tanks. He is an expert in the field, a long-time floater, and a funny, down-to-earth storyteller. This book is a wonderful introduction to floating, well-suited to new floaters or those who are just dipping a toe in. Recommended. This book is Lilly’s textbook on floating. It is a thorough, in-depth, fascinating exploration of the floatation tank and all of its potential uses. Great for those who want to deep-dive into their own consciousness using the tank. First published more than 20 years ago and now with a new introduction by the author, this classic work presents the methods and conclusions of more than 25 years of experimentation with the isolation-tank meditative experience. Drawing on the personal testimony of many who tried it, including Burgess Meredith, Gregory Bateson, E. J. Gold, and Jerry Rubin, the evidence shows how, by eliminating the presence of shifting physical input patterns, the tank allows participants to dive deep into their subconscious and focus immediately on their inner perceptions. The different domains of reality and how various experiences with solitude affect different people are discussed along with practical details on the standards for isolation tank manufacture and use. A fascinating collection of visual art inspired by the artists’ use of sensory deprivation tanks. Hopefully these recommendations get you reading all about floatation tank therapy! Have we missed your favourite? Let us know in the comments.